Ladbrokes Poker is a LEOCOP Winner for Grazza! After the brouhaha of the past few days following the passing of the controversial online gambling law in the USA, the "Unlawful Internet Gambling Enforcement Act of 2006", online poker enthusiasts can be excused for forgetting that life goes on in "The Rest of the World". One player that was not distracted was Graeme Newman, known at the online gaming tables as "Grazza", who has become the LEOCOP II Main Event winner of 2006 and $230,000 richer as a result! LEOCOP is the mnemonic for the Ladbrokes European Online Championship Of Poker, an annual series of online tournaments culminating in a $750,000 guaranteed prize pool Main Event with a $2,650 entry cost, for which satellite qualifiers from as low as $3 were run to give all Ladbrokes Poker players a sporting chance of landing the Big One. - Bengt "Pkrbt" Sonnert (4th in 2005 Monte Carlo Millions; 8th in 2005 WPT Five Diamond Classic). "When I won the "second chance", I was convinced that I'd used up my daily quota of good luck and I'd have none left for when I needed it most - but I'm glad to be proved wrong!" Graeme Newman, who is 30 years old and recently married, lives in London and runs a specialist insurance broker business, employing five people. With the soaring price of property in England's capital, living in London is an expensive business so this sum will come in very handy as a deposit on the newly-wed couple's first home. 2. $200 + $20 Pot Limit Omaha Hi/Lo, $20,000 guaranteed. 20 places paid. 3. $200 + $20 Pot Limit Omaha, $50,000 guaranteed. 30 places paid. 4. $300 + $30 Limit Texas Hold'em, $60,000 guaranteed. 30 places paid. 5. $200 + $20 Pot Limit Texas Hold'em, $80,000 guaranteed. 40 places paid. 6. Postponed until Saturday 7th October. 7. $2,500 + $150 No Limit Texas Hold'em Main Event, $750,000 guaranteed. 40 places paid. If a player entered four or more of these LEOCOP events, he or she will have earned a seat in a special freeroll tournament to be run on Ladbrokes Poker on Sunday, 15th October. The winner of this event will win a massive $30,000 package comprising a Team Ladbrokes triple EPT Main Event entry to the festivals at Copenhagen, Deauville and Monte Carlo. Second prize will be a $15,000 EPT package while third place earns a $7,500 EPT package. 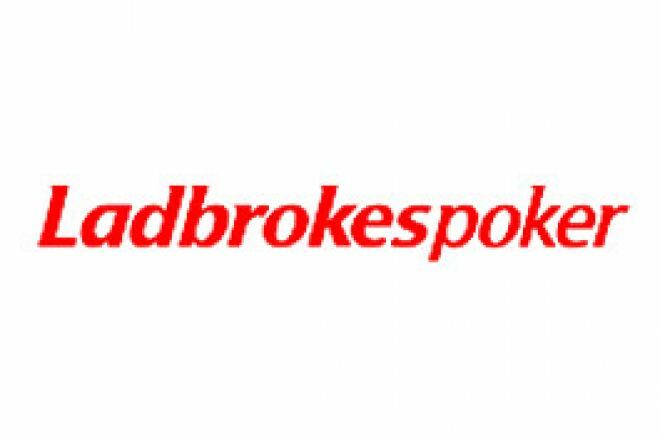 Ed note: You could earn a trip to Singapore for the $2M Asian Poker Tour when you download Ladbrokes Poker right here!